ATHENS, Greece Greece's coalition government called on Monday for the indictment of former Finance Minister George Papaconstantinou for allegedly removing the names of three of his relatives from a list of Swiss bank account holders whose tax records were to be re-examined. Seventy-one deputies from the three-party coalition signed the proposal to indict Papaconstantinou for allegedly tampering with a public document and breach of duty -- offenses that would carry a maximum 10-year jail term, according to legal experts. 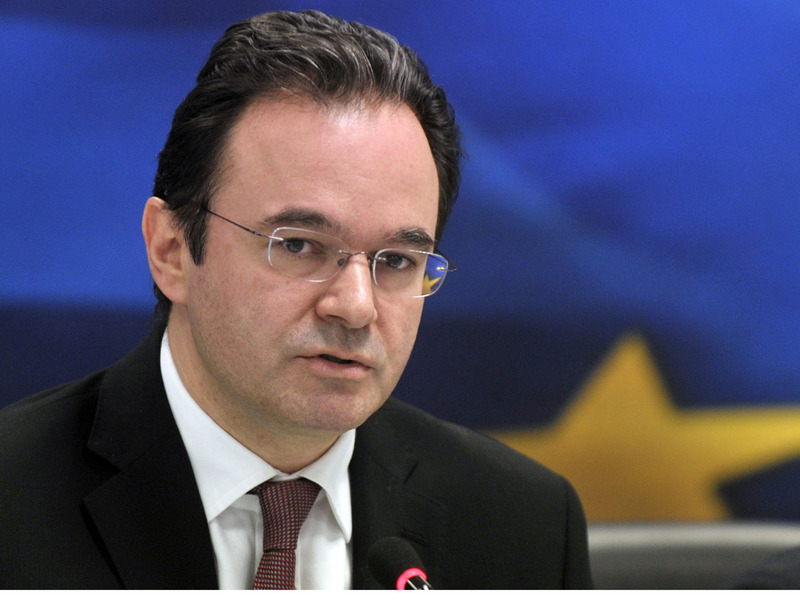 Papaconstantinou, 51, served as finance minister between 2009 and 2011 in the previous Socialist government. But his party, which is part of the new conservative-led administration, is backing the proposed indictment. The former minister has angrily denied the allegations, insisting the names were removed without his knowledge. Despite the ongoing recession and frequent reports of financial scandals, prosecution of public figures is rare in Greece, largely due to strict statutes of limitation originally designed to prevent chaotic political feuds. Under the proposed indictment, Papaconstantinou allegedly removed the names of his first cousin, her husband, and another relative from a list of some 2,000 account holders at Swiss branches of the British lender HSBC. The list was provided by French authorities in 2010 from data on 24,000 customers reportedly stolen from the bank. Greek prosecutors found the three missing names last week after requesting that the French government resend the information. Authorities are using the list of 2,000 Greek account holders to investigate possible tax evasion, and the public has sharply criticized their governments for taking so long to complete such probes as the country struggles to survive its deep financial crisis. Parliament would have to approve an inquiry into Papaconstantinou's handling of the case, then vote to strip him of political immunity before he could stand trial. The three-party governing coalition controls 166 of Parliament's 300 seats, but no votes on the issue have been scheduled. The catalog of Greek names has been dubbed the "Lagarde List," after Christine Lagarde, managing director of the International Monetary Fund, who was France's finance minister in 2010.